Can you confirm these amateur observations of Sphenomorphus zimmeri? Type locality: Tanke Salokko, 1500 m elevation, Mengkoka Gebirge (Mekongga Mts), Sulawesi, Indonesia. 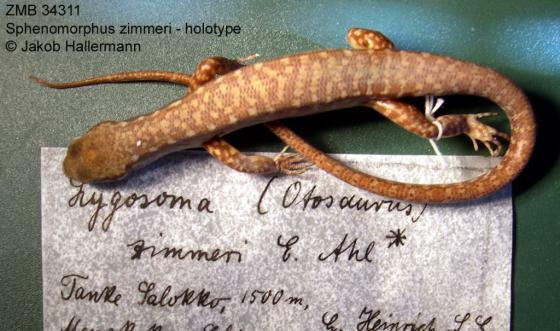 Types Holotype: ZMB 34311 (formerly C1933/17), Tanke Salokko, 1500m, Mengkoka Mtns, SE Celebes, collected G. Heinrich, 15-31.i.1932.